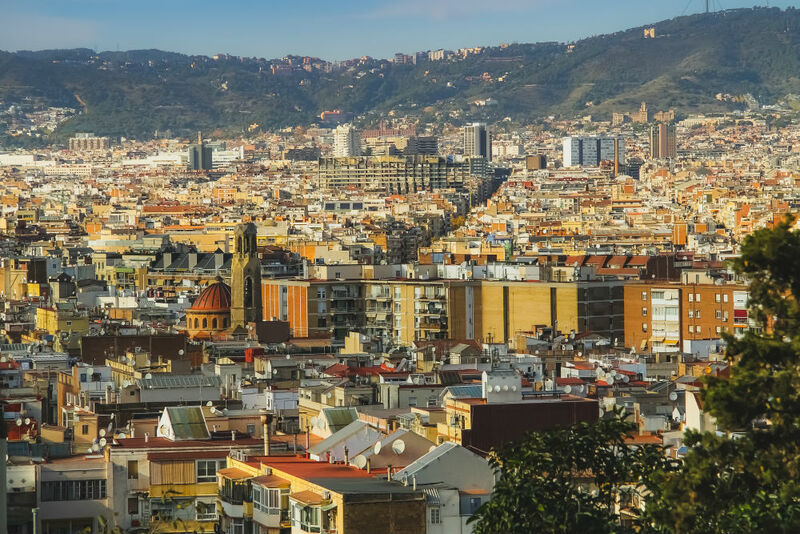 The Catalonian capital boasts a long history of serving up delicious food. 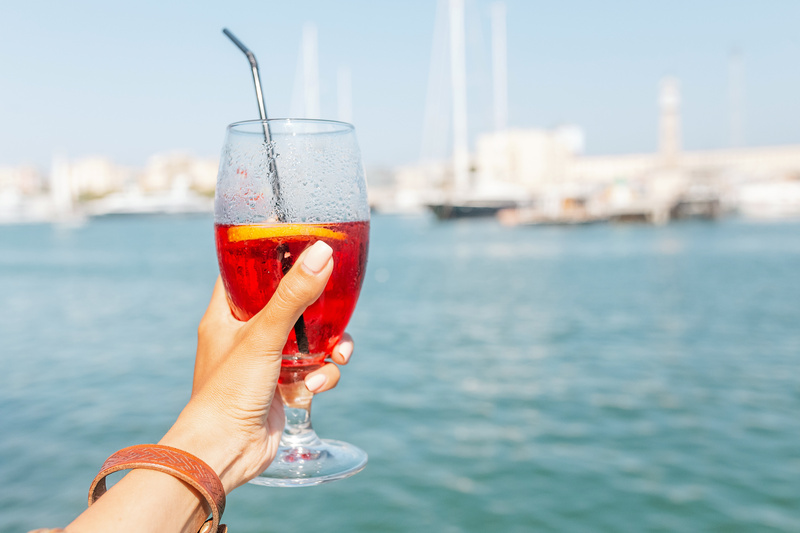 Whether that be the world-famous tapas-style small plates or the tasty paella, or the local Catalonian delicacies that are rarely sighted outside of Spain. 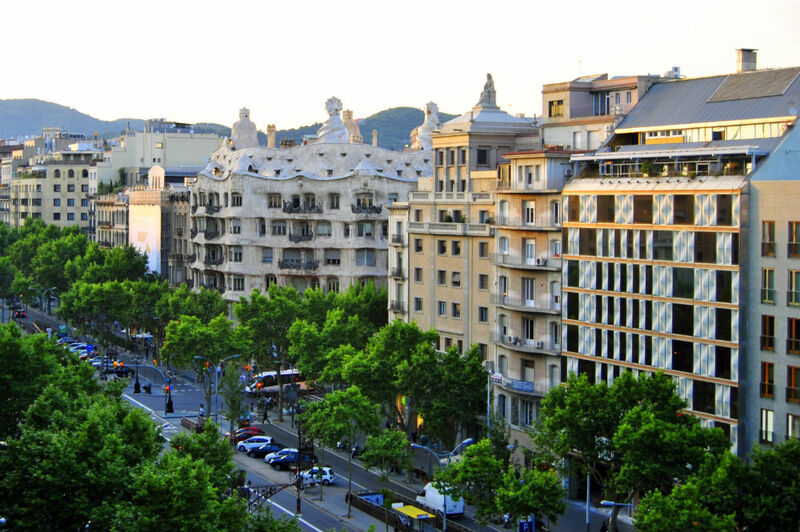 Barcelona’s rich food diversity is partially attributed to the incredible raw ingredients that its location provides. With dazzling sunshine year-round, the surrounding Catalonian landscape produces incredible wines and can grow ripe Mediterranean vegetables. The neighbouring Mediterranean Sea also provides a hearty amount of fresh fish (it’s not unusual to for restaurants to use seafood that was caught that day!). 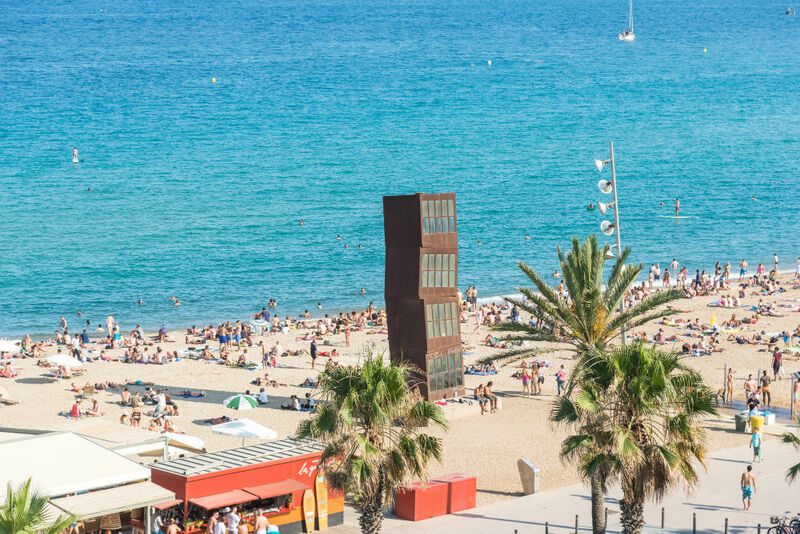 So it’s no wonder that foodie’s touch-down in Barcelona every year in search of the best tapas, Catalonian wine, and paella that money can buy. Oh, and maybe try some lesser-known traditional dishes on the way. Here’s our guide to finding the tastiest food in Barcelona. 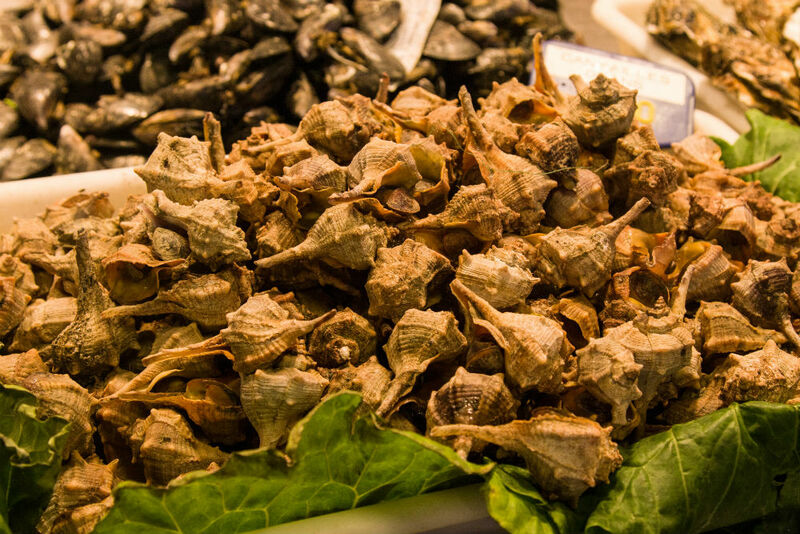 Barcelona is home to an abundance of familiar and new foods. So much, that it can be difficult knowing where to start. We can say we’ve tried to help, but we’ve only managed to narrow it down to 8 delicacies and let you pick which ones you should try (because we couldn’t). Breakfast isn’t a big affair in Barcelona, with lunch being the largest meal of the day (helping you nod off for that sleepy siesta!). 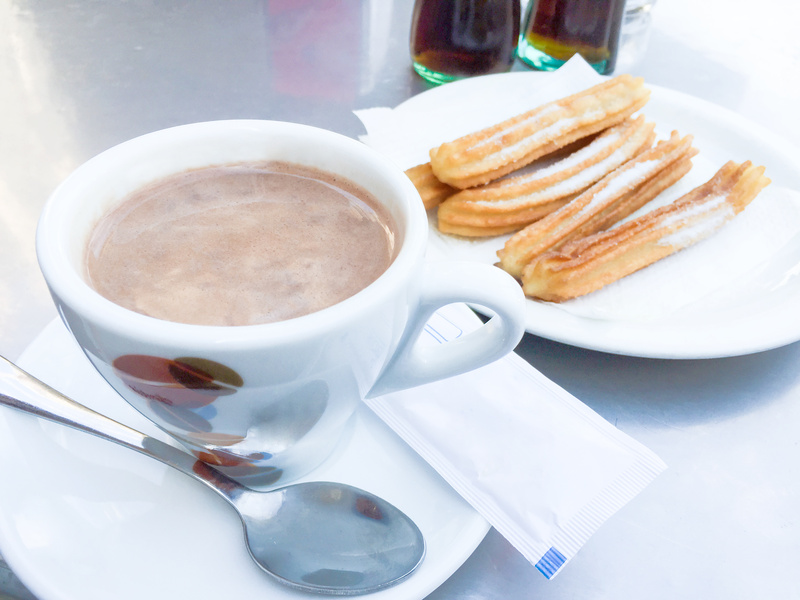 A typical breakfast in Barcelona is a strong coffee, but churros and croissants are typically available if you need something solid. 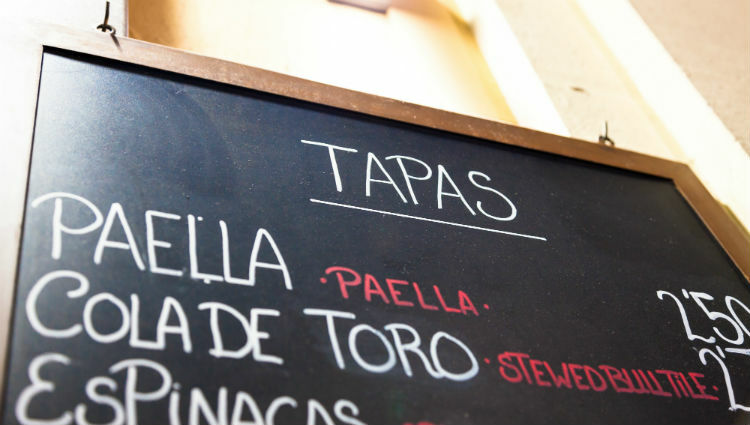 Tapas might feel like a stereotypical Spanish food, but there is tapas-aplenty in Barcelona. Typically eaten in the evening, you’ll find them served from 8pm onwards. Bombas is a popular tapas dish that is native to Barcelona. They’re fist-sized meat and potato croquettes served with an extra spicy salsa sauce and smothered in aioli. Of course, you’ll also find plenty of the much-adored patatas bravas across the city. 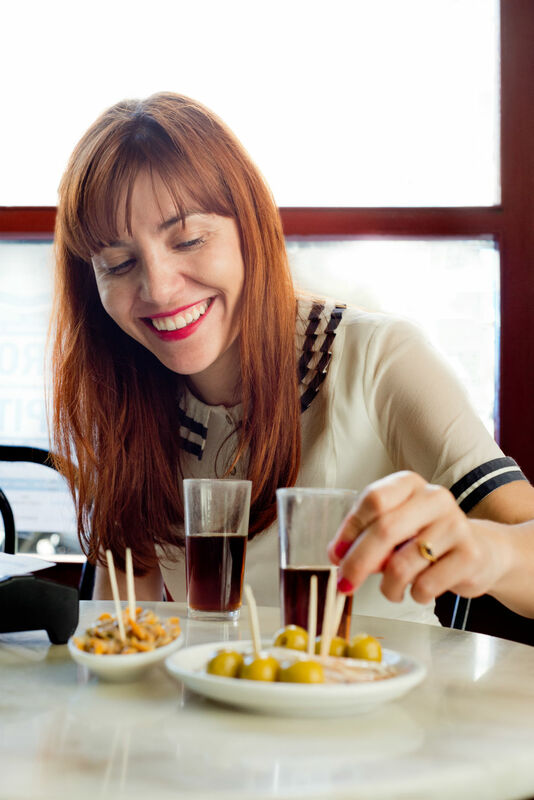 For something a little more quirky, keep an eye out for pintxos (there’s actually a pintxo route that runs along and around the foodie boulevard of Carrer Blai in the Poblesec neighbourhood). 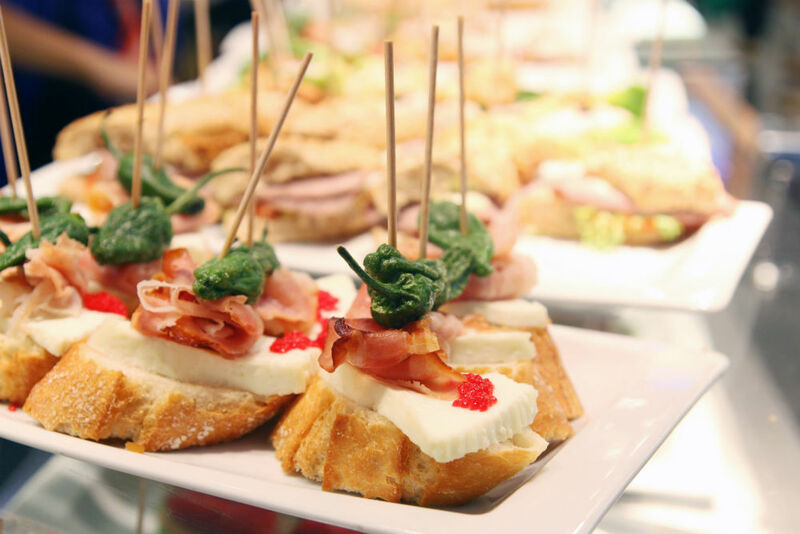 Originally hailing from the north of Spain, this style of tapas is becoming more popular in Barcelona. Instead of ordering dishes, it is buffet style where all dishes are served on a toothpick and you bring your leftover toothpicks to the till when it’s time to pay. 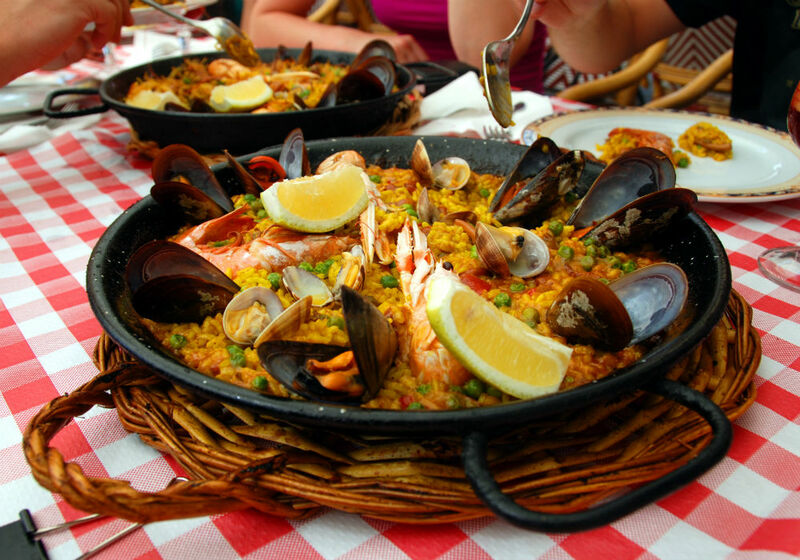 Paella is from Valencia and the original version is made with chicken, rice and beans, with seafood only being added later. It’s typically eaten for lunch (the biggest meal of the day in Spain) or special occasions. It’s also worth noting that Catalonians have their own version of the Paella, the fideuà, which is made with pasta noodles instead of rice (we recommend keeping an eye out for this one!). Tapas and paella might be internationally recognised, but traditional Catalan cuisine isn’t found much outside of Catalan. It’s heartier than your stereotypical Barcelona foods and makes use of broths and seafood. 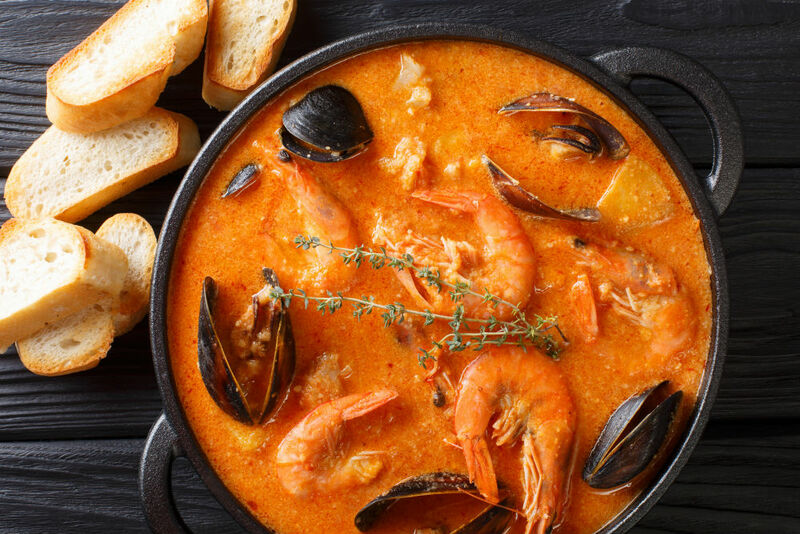 Suquet de peix is a favourite and is a potato-based seafood stew that you’ll find regularly served at local food markets. Then for dessert remember to try some Crema Catalana – a crème brulée style dessert with vanilla and cinnamon flavours! With the Mediterranean Sea right on the city’s doorstep, it’s not a surprise that seafood makes numerous appearances on menus across the city. 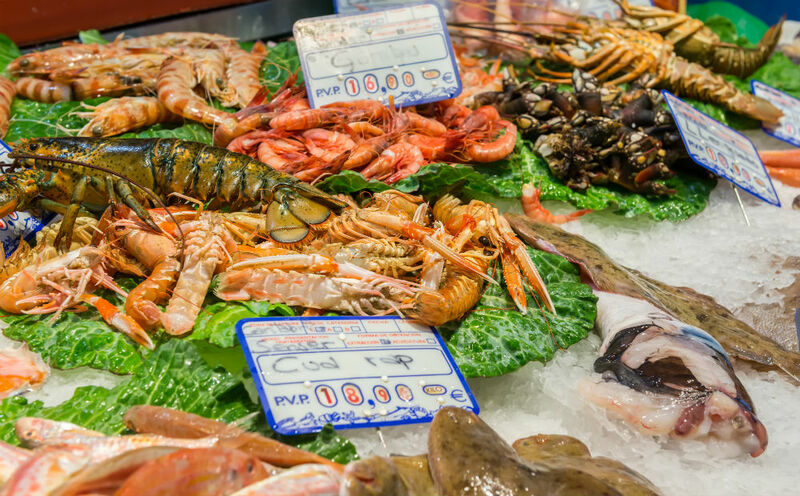 One of the best places to try seafood, however, is at a food market, where you can try everything from tuna and sardines to the adventurous jumbo shrimp and oysters. Salt cod claims a long history in Barcelona and was typically used to keep the city going through tough times since it can be stored for months. It’s still to this day used as the main ingredient in many Barcelona dishes, including esqueixada (a cold salt cod, tomato, onion, and pepper salad), Croquetas de Bacalao (salt cod croquettes with creamy béchamel), and Buñelos de Bacalao (salt cod fritters with big chunks of cod). You didn’t miss-read that. 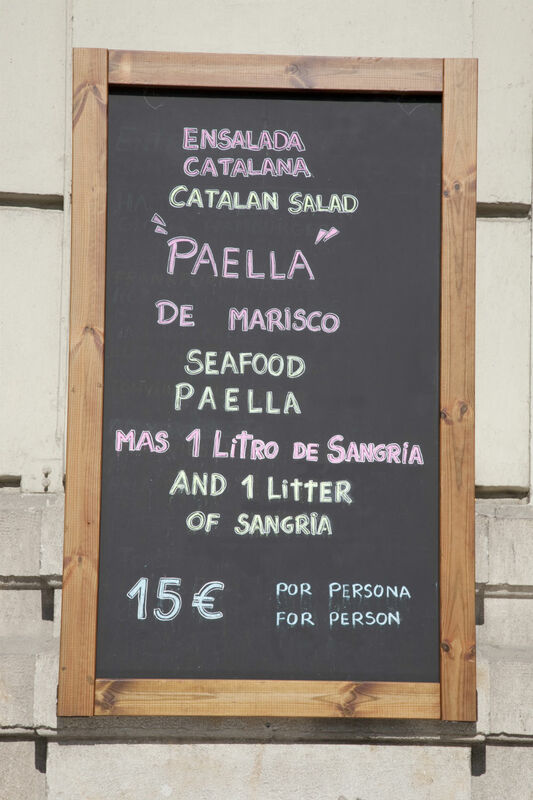 Catalonia is very close to the French border so you’ll find many delicacies in Barcelona with French-influence. 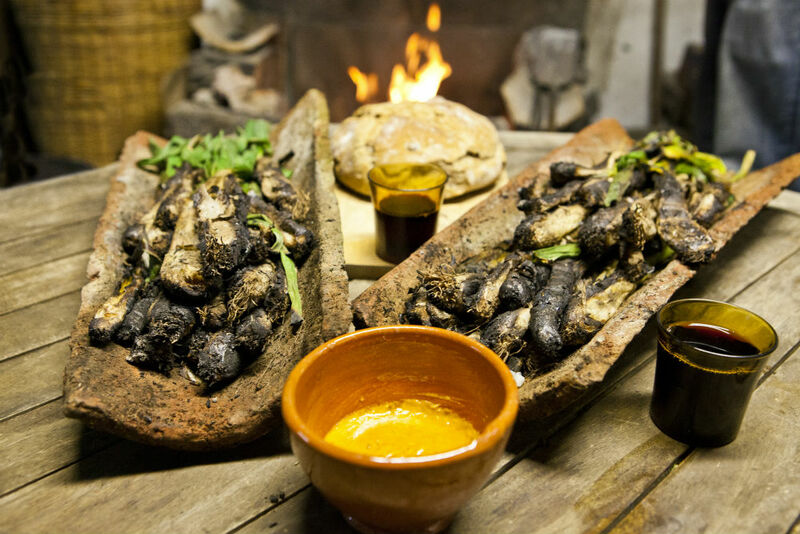 The most popular place to eat snails in Barcelona is a restaurant called Los Carecoles (which literally translate to The Snails) in the Gothic Quarter. 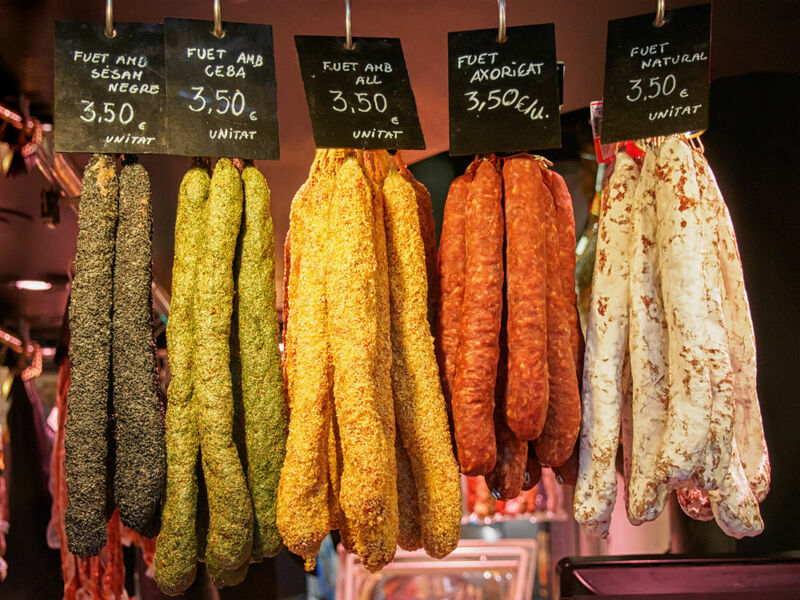 Keep an eye out for both the Butifarra and Fuet range of sausages. The first is thick and a bit spicy. While the second is long and thin and flavoured simply with black pepper and garlic. Calçot is a type of onion that grows in Catalonia and is available for a very short season (from January to early March). Typically they are served either barbequed or on a platter with romesco sauce (almonds, hazelnuts, peppers and garlic). You might even stumble upon a “calçotadas” street party, where locals cook them over an open fire. There are thousands of restaurants in Barcelona, and we cannot possibly narrow them all down. 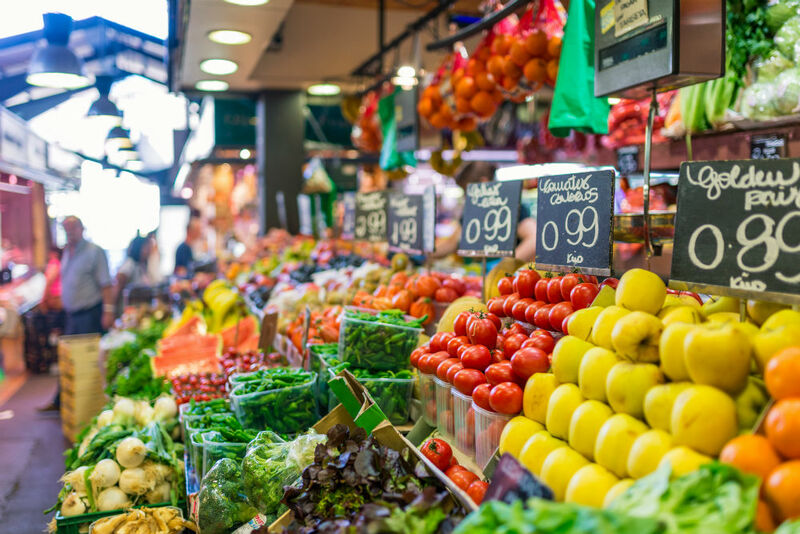 Instead, we’ve pulled together a few tips to finding the best places to eat for your tastes and budget! Barcelona’s most famous produce market is Boqueria, off Las Ramblas in El Raval. It’s filled to the brim with fresh produce and some of the best tapas in the city! There are also a few timeless restaurants inside. Though Santa Caterina, Sant Antoni, and Barceloneta are also a treasure hunt for foodies, but with smaller crowds. If you’re looking to escape the tourist crowds and devour some traditional Catalan cuisine, we recommend the village of Gracia. It is home to a wealth of family-run restaurants and traditional bodegas. You’ll find it north of the Eixample. You’ll find seafood all over Barcelona, but the old fishermen’s neighbourhood of Barceloneta offers the freshest. It’s full of no-frills tapas bars and quaint family-owned restaurants. The perfect place to explore Barcelona’s maritime past. Be ahead of the crowd and visit one of Barcelona’s newest foodie neighbourhoods. Blai Street, in particular, is lined with modern tapes and pintxos bars. Keep an eye out for signs that advertise menú del día (menu of the day). It’s a set menu that is typically aimed at professionals looking for a quick lunch with a small price. Most menus will consist of a starter, one or two main courses, bread, dessert, a drink, and a coffee. Prices range from €8 to €25. Catalonia boasts 10 official D.O. (Denominació d’Origen) wine regions: Empordà, Alella, Penedès, Pla de Bages, Conca de Barberà, Costers del Segre, Tarragona, Terra Alta, Montsant and Priorat. The wines here are typically full-bodied with high alcohol levels. The Penedès wine region is definitely the most sough-after though. This region accounts for about 75% of all the cava (sparkling wine) made in Spain! Though it also produces deep Corona reds and Viña Sol whites. San Miguel is the province’s most popular beer and offers a lighter taste than what you might be accustomed to in the UK. It’s also not unusual to overhear people ordering a clara, which is a glass of beer mixed with lemon soda. 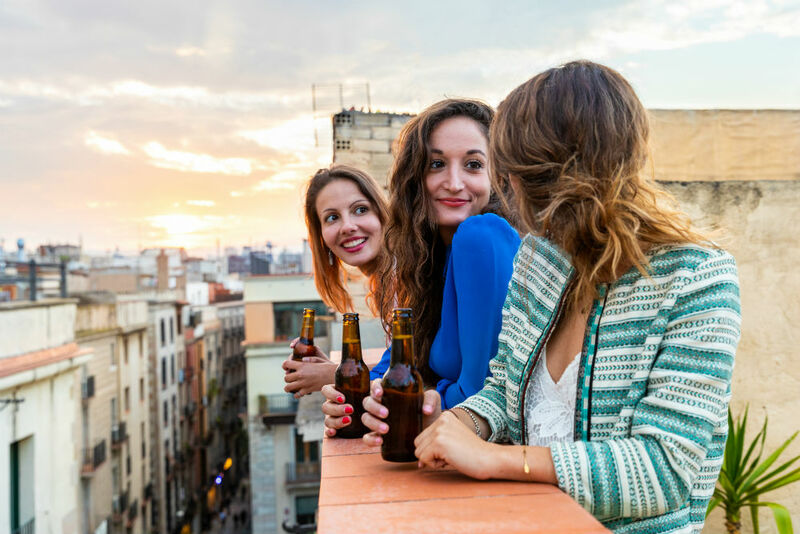 Craft beers are also becoming increasingly popular in Barcelona. Some local Catalan brewers include BeerCat, Barna-Brew, Barcino Brewers, Birra 08, Hazte1Litro, Montseny, and Edge Brewing. For something a bit stronger, try this local favourite. It’s typically served just before lunch and usually washed down with a bowl of olives and a few shellfish conservas (cockles, mussels, razor clams). 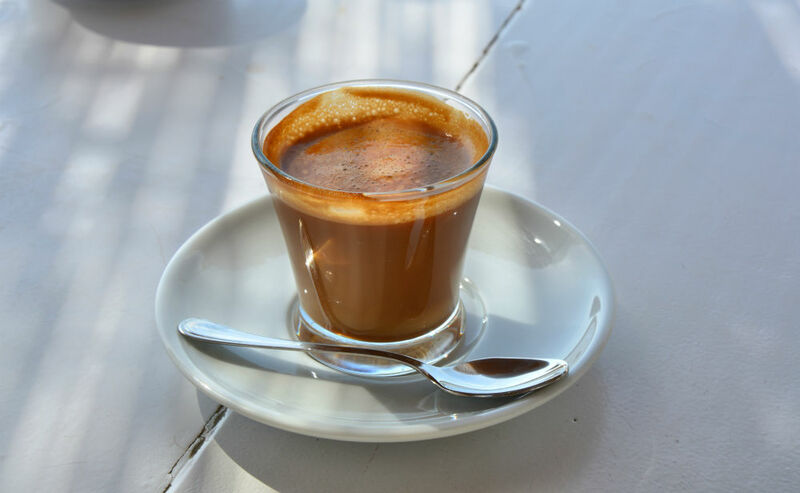 Coffee is so adored in Barcelona that is sometimes all anyone has for breakfast! It’s not the weak stuff either; locals like their coffee rich and strong. Also, keep an eye out for carajillo: it’s coffee with a dash of cognac. In some traditional places, the menu will be Catalonian! Most waiting staff will be happy to translate though.